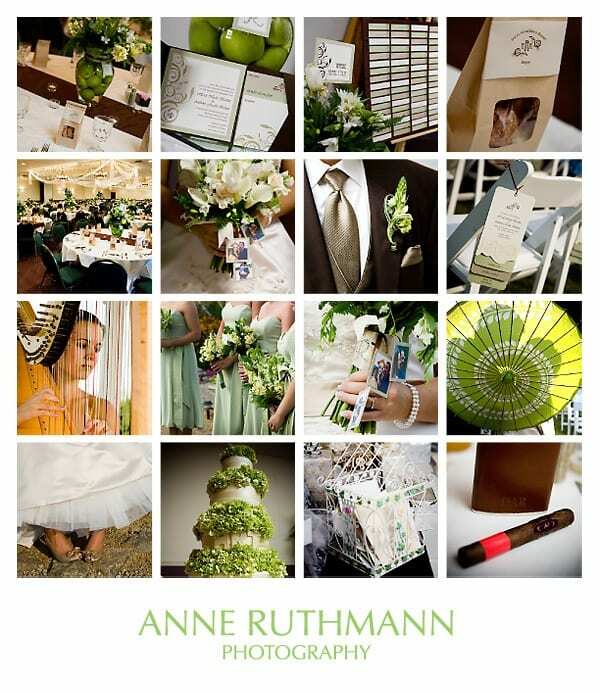 Yet another completely inspiring real wedding featured as an inspiration board from Anne Ruthmann, this wedding is a stunning example of a classic green and brown color palette. I think this could easily be adapted to perfectly suit a fall wedding or a fresh and sunny spring wedding. I’m in love with these cute kraft paper bakery bags loaded with goodies and the fresh limes submerged in the vases. So fun and yet completely elegant, this wedding just feels like sunshine to me.